The Augulis Law Firm has long been proud to have the opportunity to serve the residents of Hunterdon County by providing them with the elder law and estate planning services they need. Our experienced team of legal professionals works daily to ensure that your clients have the planning needed to manage complex issues like asset protection, Medicaid planning, incapacitation, and vital legacy concerns. We work closely with each of our friends and neighbors in the area to help them safeguard their interests and protect wealth, while working to grow those assets over time. If you’re either a resident of the area or considering a move to Hunterdon County, it’s important to know that the Augulis Law Firm is here to help you with your most vital estate planning and elder law needs. The county has received tremendous praise for its economic success, and the Bureau of Economic Analysis noted in 2009 that it had the third highest per-capita income in the state of New Jersey. More impressively, it ranked as the 19th-highest income county in the United States. That’s 19th out of a total of 3,113 U.S. counties. Median household income is high, as the Bureau’s accolades would suggest. Across the county, there is a median income of $110,457, according to reports from 2013. That’s a noticeable increase from the $79,888 recorded in 1999. It’s also significantly higher than the statewide median of $70165. Nearly 40% of the county’s industry is comprised of professional occupations, scientific endeavors, management and administrative services, and waste management services. Jobs include management occupations (20%), sales (15%), installation, repair, and maintenance (7%) and construction. It is a diversified economy that provides residents with high income and a need to protect that wealth with sound estate planning. 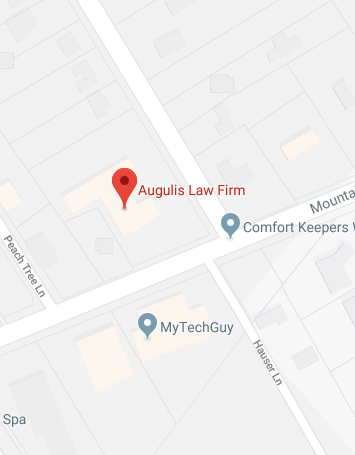 Augulis Law Firm is here to provide that protection. The 2013 median age for residents in the county was 45 years old, with the male median age two years younger than that and the female median one year older. 25.70% of the residents in the area are under the age of 18. 10% are age 65 or older. According to recent statistics, 6.5% of area households are made up of seniors living alone. The senior citizen poverty rate in the county is 4.2%. Seniors in the area are as fiercely independent as seniors elsewhere in the country, with most committed to maintaining their independent living while health permits. Age brings with it many health care changes, however, and eventually a sizable number of older residents turn to friends and family for assistance. Some move in with loved ones. Others need more care than their families can provide and end up seeking long-term care at one of the several facilities in the area. Caring.com offers a comprehensive list of those facilities on its site. Naturally, this is a very serious decision for most seniors. They and their families have major choices to make about the type of facility needed and the method that will be used to cover those high costs. We believe that every family should thoroughly review its options before making any life-altering mood of this magnitude to make sure that they are prepared for everything that long-term care can mean. At Augulis Law Firm, we can work with seniors and their families to ensure that they select the right care facility for their needs, and have access to the benefits and funding sources they need to cover those costs. People interested in a move to the county often have serious questions about demographic issues like labor and housing. There was critical data compiled just a few short years ago that can provide the sort of insight that many of these would-be residents need. The 2013 median home and condo value in Hunterdon County was estimated to be $380,700. That’s a major increase in value from the $246,700 reported in 2000, and is even high when compared to the New Jersey median value of $307,700. As you might expect, the median rental cost is higher than the statewide median as well. It stands at $1,241, which is more than $200 higher than the New jersey median. For would-be business owners thinking about moving into the Hunterdon County area, the educational demographics can be informative. More than 91% of residents who are at least 25 years-old have at least finished high school. Nearly 42% have achieved a bachelor’s degree or higher level of education. As of September, 2015, the unemployment rate in the county was 4%. The Surrogate Court in the county seat of Flemington handles probate and guardianship matters. That court can be found at 65 Park Avenue – PO Box 2900 – Flemington, NJ 08822-2900. Persons with business before the Surrogate can visit the courthouse Monday through Friday, between the house of 7:45 AM and 5:15 PM. If you have questions or need assistance from the court, you can reach court personnel by calling (908)788-1156. Probate court for Hunterdon county is as vital as it is elsewhere in the county. The Surrogate is responsible for dealing with issues related to incapacitated adults, minor children, and estate settlement. The court in Flemington can help to provide the guidance that will executors, heirs, and others need as they address these important issues. At Augulis Law Firm, we can provide you with assistance too, with clear guidance and effective estate planning efforts that can accomplish your life and legacy goals. At the Augulis Law Firm, our experts are always prepared to assist our friends and neighbors throughout Hunterdon Count. We provide the estate planning and elder law assistance you need to protect assets, secure your family interests, and plan for anything that life might throw your way in the future. Our team can secure Medicaid funding with a comprehensive plan that incorporates solutions to all your legacy concerns. To learn more about Hunterdon County and the estate planning and elder law services we provide, visit us online or call (908) 222-8803.